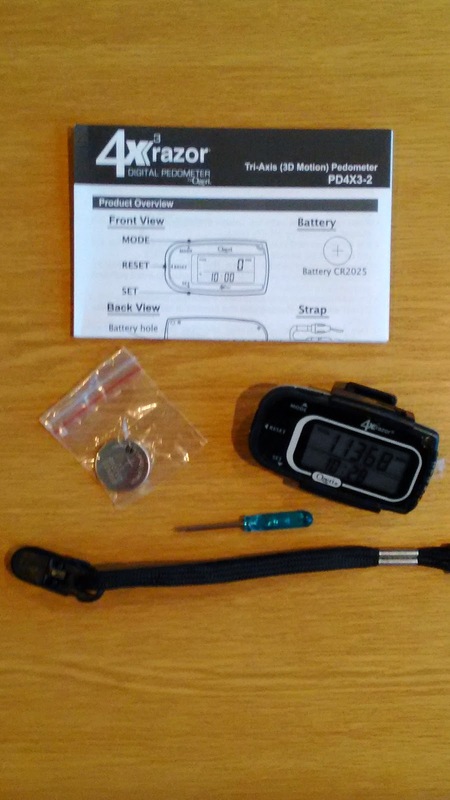 When I was given the opportunity to try out and review a pedometer I jumped at the chance. I have often wondered how many steps I did in a day. Some days it feels like I do not stop. When the pedometer arrived I was amazed by how small and light it was. When I opened the packet I was delighted to see that for once I had received a product that was complete with 2 batteries, one in the pedometer and one as a spare! It even came with the correct size screw driver needed to open and fit the battery! The pedometer also has a belt clip and lanyard which gives you plenty of options of how to carry it, in your pocket, on your belt or hanging off a belt loop. The pedometer was easy to set up and get going. After playing with it for about 15 minutes it was ready to go. I decided that the perfect time to try out the pedometer would be while we were at Center Parcs on holiday as we walk and cycle non stop. The first time that I used it was while we were cycling and the pedometer didn't pick the movements up very well and kept turning itself off which was a little bit annoying however when walking it worked really well and I was amazed that by the end of the day. Despite the pedometer going to sleep various times throughout the day I had still clocked up just under 10,000 steps! The following day I used it while we were walking around and it worked perfectly well. I even became a little obsessed and kept checking how my steps were going. The Ozeri 4x3 Razor Digital Pedometer does not only count your steps but also records distance, calories and exercise time. It counts up to 1 million steps and has a 7 day memory with a built in clock, sports timer and as mentioned before automatic sleep technology. If you are looking to invest in a light weight, easy to use pedometer I would recommend that you check this one out. It is priced at £39.99 which I feel is a fair price as you get everything that you need to get going. 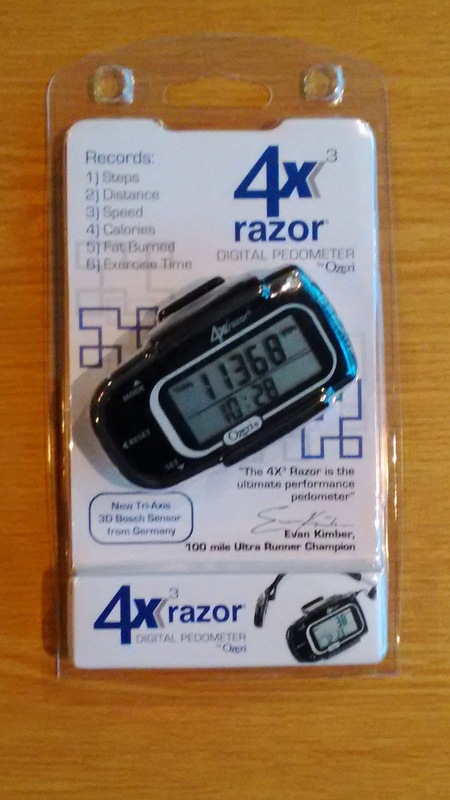 For more information visit Ozeri 4x3 Razor Digital Pedometer. Disclosure: I received the pedometer for the purpose of this review. No payment was received. All views and opinions are my own and 100% honest.